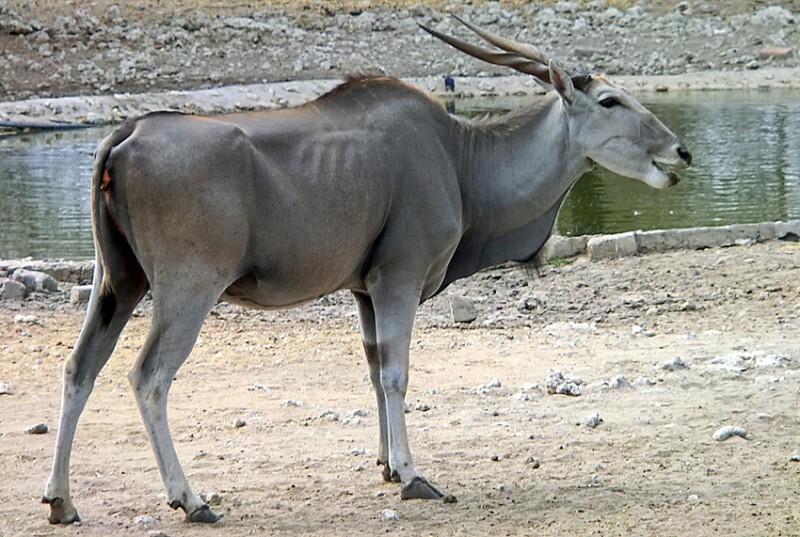 Eland is the biggest of the African antelopes. We actually didn’t see any in Etosha but I got some nice photos on Emanya lodge. The name “eland” comes from the Dutch word for “elk”. 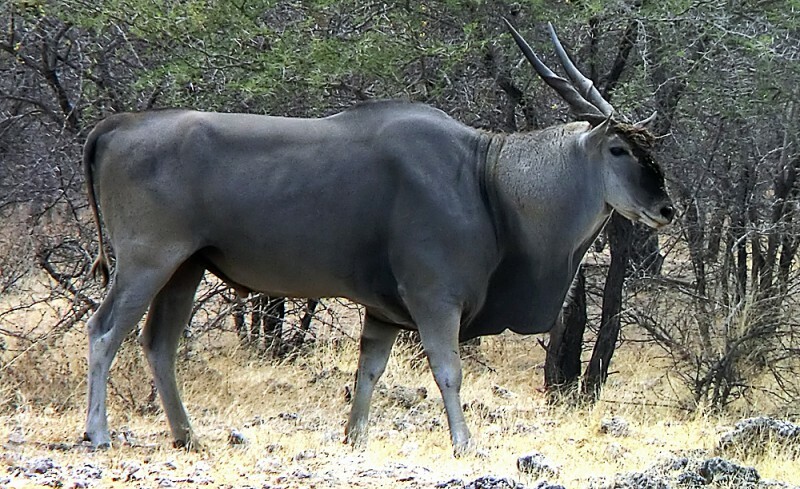 Eland is a big anmal. Females weigh from 300 kg up to 600 kg, while bulls can weigh up to 1000 kg. Females are from 125 cm at shoulder height while bulls can be up to 183 cm. Both have horns with a length of about 65 cm with sprials, but the bulls horns are slightly shorter and thicker. They are not very fast but can jump 2,5 m high. 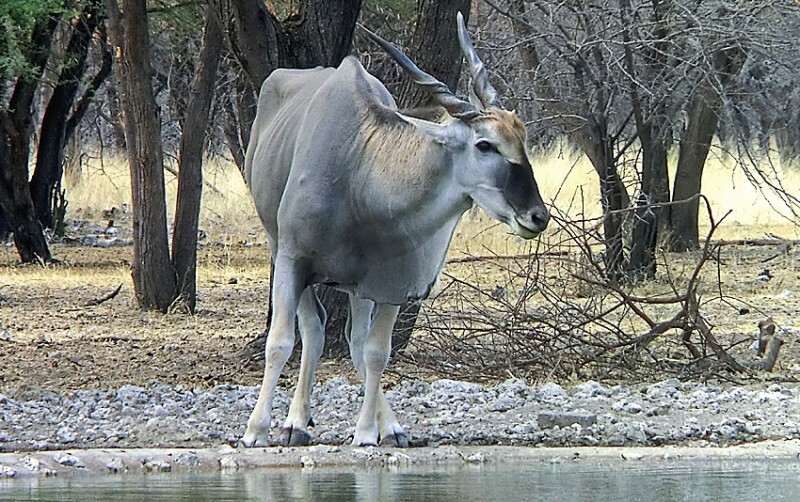 Elands live in herds that can be up to several hundreds. They live on the open plains of southern Africa and along the foothills of the great South African plateau. They are found as far north as Ethiopia and to the south just reaches South Africa. Some farmers here have switched from cattle to eland. 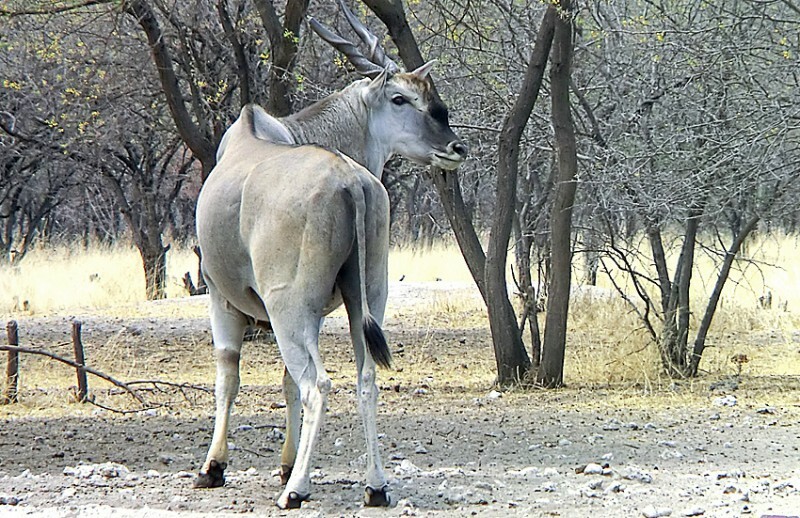 It’s meat is sought after and elands are better suited for the climate. In the many cave paintings by the San people in southern Africa eland is the most powerful of all San symbols. The eland is the most frequently painted animal in these paintings and also the animal that is painted with most care, with most details. When you look at the eland you can understand it. It is a majestic animal.